In Hulu’s new thriller “Light as a Feather,” a simple slumber party game becomes a matter of life and death. But in typical teen drama fashion, just about everything else feels the same way. 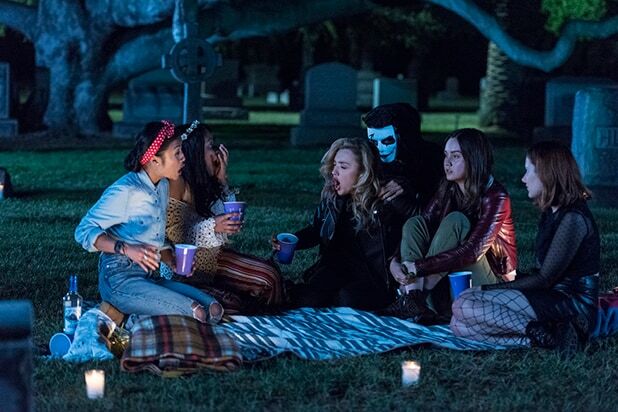 An adaptation of Zoe Aarsen’s hugely popular Wattpad story-turned-novel, the 10-episode drama follows five girls who play an ill-advised game of “Light as a Feather, Stiff as a Board” in a graveyard and then have to contend with a potentially deadly curse. 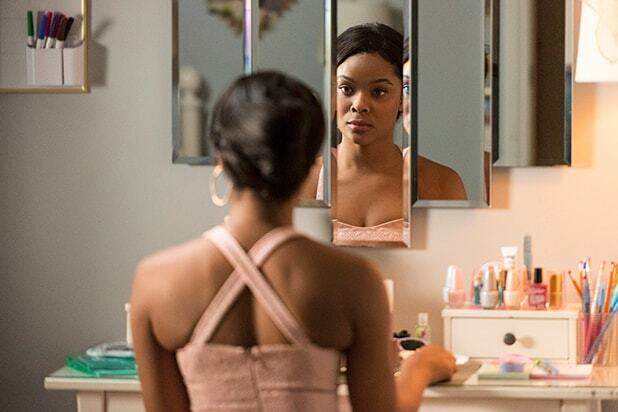 Taking a page from other genre-inflected dramas like Freeform’s “Pretty Little Liars” and The CW’s moody Archie comics adaptation “Riverdale,” “Light as a Feather” carefully intertwines real mortal peril with typical high school anxieties — splintering friendships, burgeoning romances, overbearing parents — to create a best emotional approximation of life as a teenager. Which is to say, sometimes joyful, often sweet, but mostly just terrifying and miserable. Fleming has been writing teenage characters on screen for nearly all of his career with projects like “One Tree Hill” and “She’s All That,” which first hit theaters in 1999. “There must be some dark unresolved thing from high school that I’m still trying to work out,” he jokes. 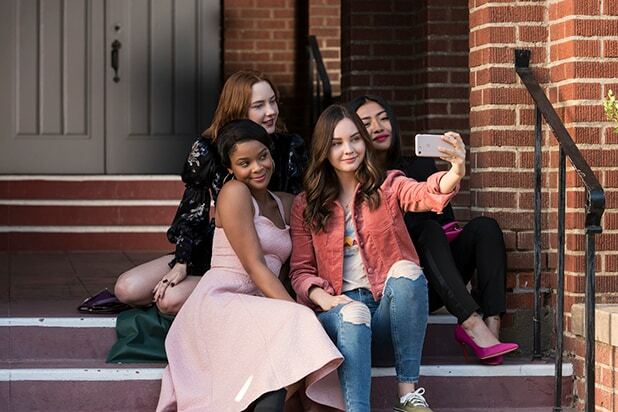 This time around he’s enlisted an ensemble of up-and-coming young actors, including Liana Liberato (“The Best of Me,” “If I Stay”), Ajiona Alexus (“13 Reasons Why”), Brianne Tju (“Scream: The TV Series”), Peyton List (“Jessie,” “Bunk’d”), Haley Ramm (“Chasing Life”) and Dylan Sprayberry (“Teen Wolf”) — almost all of whom are in their early 20s and from an entirely different generation than the characters he’s written about in the past. As for the finer details, “Well, now I have a niece who just turned 16, so I can go to her,” said Fleming. Read TheWrap’s full interview with Fleming below. TheWrap: I know this is an adaptation of a Wattpad story, but can you tell me a little about the origins of this project? How did you come to be attached? Fleming: This is was pretty much an open writing assignment. [The producers] were meeting with writers to try to find someone to adapt it into a series. And at that point, Zoe’s book was one of their most popular titles. I had done a lot of high school stuff in my career, but at that point, I’d never done any horror. So I went in and had a great meeting with them, and I called my agent and said, “I think I may get this.” And fortunately enough, they trusted me to do it and gave me the job. When you read the story, what was it that appealed to you? What made you want to adapt it? I had been burned before — well not burned, I still got paid to do it — but I had tried to adapt things before that didn’t find success. Even if something is a great book, it may not be super adaptable. With this, there were so many of the elements there already. Just the set of the characters in the series and their friendships. As I was reading it, I just knew, Yeah, I can do this. I can see this series. You’ve worked on a few of these kinds of teen dramas, what is it about this genre that you enjoy writing? I keep asking myself this question, why after 20 years am I still in high school? But to me, there’s something about that age when certain seminal things happen. Your first relationship, your first break-up, all of these firsts. Everything is so fraught and raw, so even what would otherwise be a kind of mundane thing, the first time it happens to you, it’s high drama. It’s the biggest thing ever. You didn’t just have your heart broken, you’re the first person in the history of the world to ever have your heart broken like that. I think that’s the reason that I keep gravitating toward it. Plus, there must be some dark unresolved thing from high school that I’m still trying to work out. How faithful to the original story would you say the series is? Did you take many liberties with the story or characters? It’ll definitely be recognizable to fans. Most of the characters are largely the same — we had to change one of the names for legal reasons. But because we had to expand on it and go in slightly different directions or dig a little deeper, there are some changes. I think for people who love the book, they will recognize the same story, just maybe with a little more invention. How involved was Zoe in the series? Was she in the room at all? She wasn’t in the room, but we met early on. She sort of told me the things that she was thinking, some of the things that weren’t on the page yet in terms of the mythology. The long story and the secret of why all the spooky stuff is happening, she gave me some of that backstory. So there are elements of that in what we’ve done, and I think she read some of the early drafts and been kept up to speed with everything. And I’ve met with her since then, just to celebrate getting picked up to series. She’s great, and she’s been nothing but supportive. Was the budget ever a challenge at all? The show doesn’t look cheap, but it does look like you had to do a lot with very little. Yeah, and I have to say, the director of the first and last two episodes, Alexis Ostrander, was so responsible for coming up with the look of the show. We definitely didn’t have a network budget, but there was a conscious decision to give it its own look. I think there’s kind of an indie look to it, which serves the story in a way. I love shows like this and I’ve worked on shows like this where everything is bright and splashy colors, but there’s sort of a look that reflects some of the darkness that’s going on a lot of the time in these girls lives. The show is super serialized, and Hulu is releasing all 10 episodes at once. When you’re making a show like this for a streaming platform, does that change how you approach writing each episode? I think we were unclear on that. We were never 100 percent sure that all 10 episodes were going to go up [at the same time]. I think we were always aware that that was a possibility, but we didn’t change the way we told the stories, and there wasn’t a whole lot of discussion about how people were going to watch it. However, we did make a point of wanting to leave the audience wanting more at the end of every episode. It’s a half-hour drama, which is somewhat unusual. What was behind the decision to go with shorter episodes? Actually, when I first started the show, it was going to be a more traditional hour-long drama. But telling it in these half-hour bites and cramming so much into each episode, kind of helps the story. Because there’s such urgency with everything going on in these characters lives. They don’t have a lot of time to breathe, so I think the pace contributes to the overall tone of the show. I’ve worked these kind of these high school shows where something really serious is going on, like Oh my god, there’s a killer out there, but we also have to plan the spring formal. Or something like that. And it’s kind of hard to reconcile those two things. I think there’s an urgency that telling a drama in half an hour gives you. Just to loop back to the conversation about genre for a second, have you found it increasingly tough to write teenagers over time? Being a young person in 2018 is so different than it was even 10-20 years ago. Well, now I have a niece who just turned 16, so I can go to her for some details [laughs]. But I think you’re right that there are a lot of things that are very different. There are different pressures. And obviously, technology has changed a lot of things in terms of storytelling. Even when I first started out 20 years ago, people weren’t so immediately reachable all the time. But those things we talked about earlier, those feelings, a lot of that is the same. Those emotional moments and those big firsts. So I think to that a lot of the time, and, for the details, it’s helpful to have people in the room who were teenagers a little more recently. 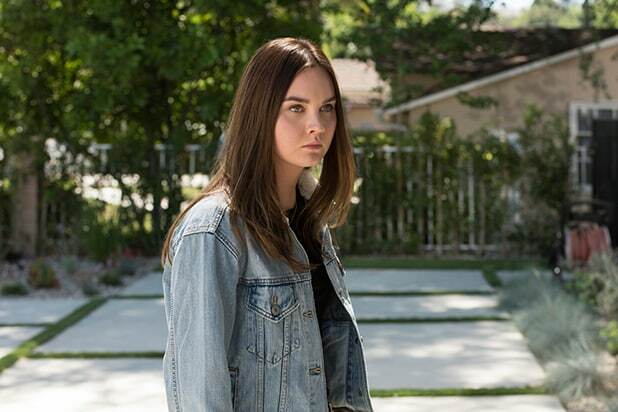 The cast is made up of a lot of very good young actors, and Liana Liberato, especially, is a great anchor for the show. 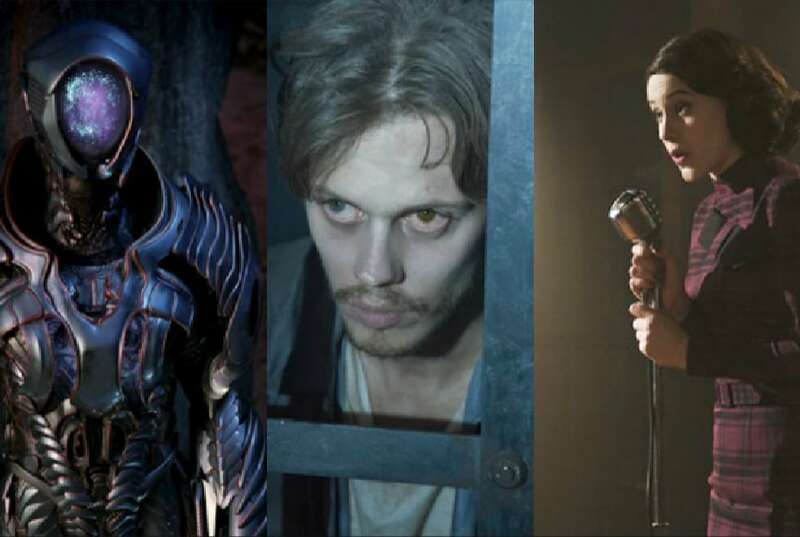 What kinds of things were you looking for when you were casting these characters? Liana, when she came in, just came across as so incredibly — she’s obviously an immensely talented actress — but she just seemed to really just get the part and really understand the character. She came in and everyone was immediately blown away. She’s such a great actress. There was a vulnerability to it, a wounded aspect. Part of her backstory is that she’s coming back from a staggering loss, so even though she was tough, but there was also a vulnerable quality helpful for the character. The season ends on a pretty big cliffhanger. Do you already know what a second season would look like? We were very excited to end the show with those unresolved elements, and the other writers and I have been at the bars talking about it. We can’t wait to get started on Season 2 if the opportunity presents itself. And, yes, we absolutely know where the story is going. There’s some details to be worked out and someone may come up with an even better idea, but we know what we want to do. Not all of the characters make it out alive, but is there a possibility that we could see some of them again? There are a couple characters who we don’t think we’ll see again, but we figured out a way [later in the season]. Of course, there were moments where it’s like, Well, that’s it for her! [Laughs]. But there’s always a possibility. “Light as a Feather” Season 1 debuts on Hulu on Friday, Oct. 12.